The Jewish Federation of San Diego County is proud to bring to you the My Israel Journey — Teen Subsidy Program. This program grants eligible teens living in San Diego County a one-time award of up to $1,500 based on eligibility, toward participation in an approved program in Israel. These grants are not needs based and are open to all 8th -12th graders. Applicants are accepted twice a year, September-November for winter trips and January-March for summer trips. Awards are granted on a first-come, first-served basis. Though Federation’s mission is to support every San Diego Jewish teen traveling to Israel, funding is limited. Applicants are encouraged to seek additional financial assistance from other sources. Please note: The My Israel Journey program does not award money toward post-high school long-term programs or Masa Israel Journey programs. If you are in need of financial assistance for such a program, please contact Janese Cassel at janesec@jewishinsandiego.org. Choose your trip to Israel. Approved trips must be peer-based, organized trips to Israel with a service-learning component. Register directly with the provider. You must register for a trip and be accepted before applying for a subsidy from Federation. Accurate registration information and proof of acceptance is required. Complete the following forms: the application form, community service requirements, and post-trip reflection or video entry two weeks upon your return. Incomplete applications will not be considered. Service learning opportunities are central to our Teen Initiative and to each supported Israel trip. To prepare for a quality, immersive experience in Israel, as well as to give back to the San Diego Jewish community, all subsidy recipients must contribute a minimum of four hours of community service. These hours must be fulfilled through MOTIV San Diego at motivsandiego.org. 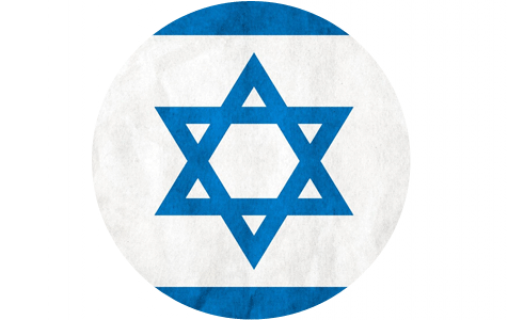 All subsidy recipients and their parents must attend a mandatory pre-trip My Israel Journey orientation session led by the Jewish Federation of San Diego County. Within 14 days of return from an Israel trip, all participants are required to submit a video or blog post about the experiences to the Jewish Federation of San Diego County. There are lots of opportunities to get involved with the San Diego Jewish community once you get back from Israel! Check out more teen opportunities here. What can the $1,500 subsidy cover? The My Israel Journey subsidy is applied directly to the total trip cost, as determined by the trip provider, and does not cover domestic airfare or other expenses. I received a scholarship from Federation through Israel Travel Scholarship in the past — am I eligible? No, prior recipients of Federation funding for an Israel trip are not eligible for this subsidy. Can I get any extra funding for a long-term program? You may receive up to $1,500 to use towards your Israel program. Longer programs will not receive additional funds. What if my program costs less than $1,500? If your program costs less than $1,500, you are a very lucky traveler, Federation will cover the cost of the trip. I’m going on a Masa Israel Journey, Long Term, or Gap-Year Program in Israel — do I qualify? You are not eligible to apply through My Israel Journey, but there are alternative support opportunities available. If you are in need of financial assistance for other travel programs, please contact Janese Cassel at janesec@jewishfederationsandiego.org for more information. 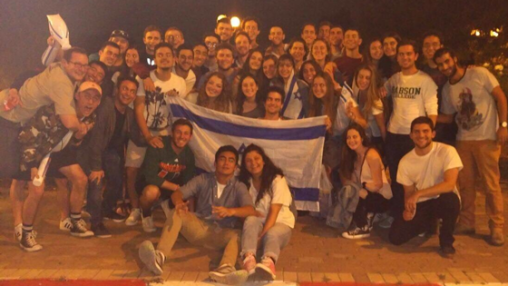 Will receiving a subsidy prevent me from going on Birthright or Masa Israel Journey? No. Since Birthright eligibility rules have changed, going on an organized trip while in high school will NOT render you ineligible for Birthright once you are of age. Additionally, receiving a subsidy grant from Federation during teen years will not disqualify you from future Masa Israel Journey programs or scholarship (including Federation scholarships). I already volunteer regularly — do I still need to track my hours throuh MOTIV to fulfill my volunteer hours?